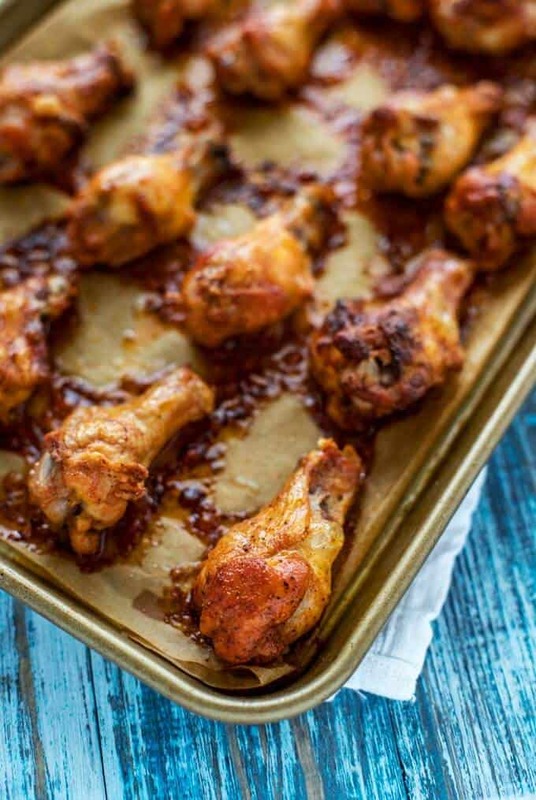 You are here: Home / Recipes / Chicken Recipes / Healthy Chicken Wings – Oven Baked & Guilt-Free! 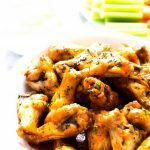 Healthy Chicken Wings – Oven Baked & Guilt-Free! These Healthy Chicken Wings are a guilt-free way to enjoy a family favorite. They taste great and require no sacrifice. 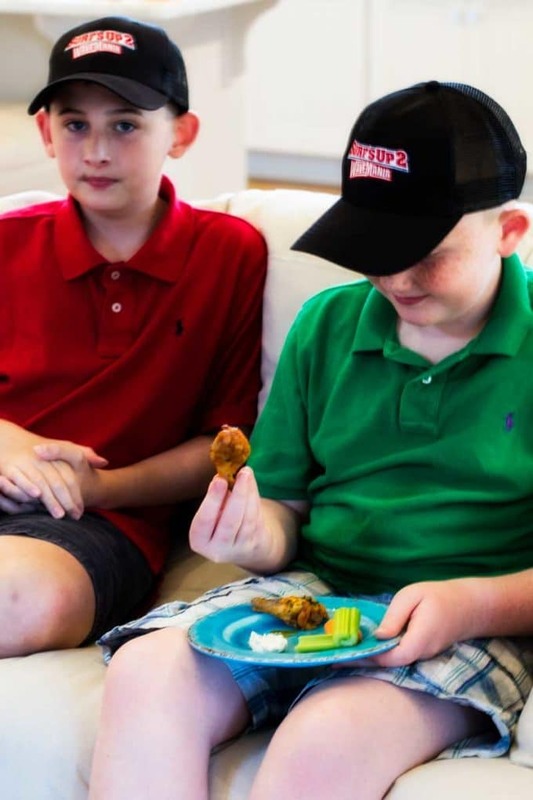 Both kids and adults love these Oven Baked Chicken Wings! I may be slightly obnoxious with it, but I’ve been teasing them for years that they weren’t doing a good job following my rule because they were growing so fast. As much as I miss my crazy little boys, the truth is that I very much adore where they are right now. It is so amazing to be able to sit down and have a great conversation with them about something meaningful. Perhaps my favorite thing about them being older is that they are so fun to hang out with. I love taking them out for pizza and going to amusement parks with them, but one of my favorite things in the world to do is to stay home and snuggle up for a movie. These photos were taken January 2017. It is hard for me to accept how much they have grown since then. Something like these Healthy Chicken Wings, a veggie platter, and dips. I’ve always thought of Chicken Wings as unhealthy bar food. Don’t get me wrong – I love them, they just aren’t something that I would have likely ever made at home if it weren’t for the boys. But the boys – they love them. So a Mama has to find a way to make it happen. Enter these Healthy Baked Chicken Wings. When you skip the deep-frying, chicken wings can actually be pretty healthy. I love that I can do all the prep work for these wings ahead of time so that when movie time comes the only thing that I have to do is pop them in the oven. That means more snuggles for Mom! Are Chicken Wings Good For You? Yes, when baked or Air Fried, Chicken Wings can be part of a healthy diet. I recommend finding organic, free-range chicken wings if possible. If you are watching your fat intake, feel free to omit the butter in the buffalo sauce or to use another sauce all together. Can I make Chicken Wings in my Air Fryer? Absolutely! To make Air Fried Chicken Wings, cook at 370 degrees for 30 to 40 minutes. 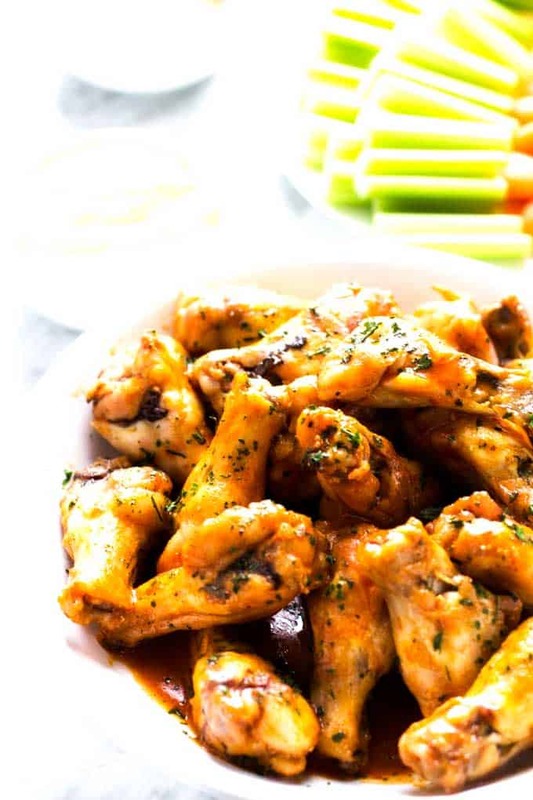 These Healthy Chicken Wings are a guilt-free way to enjoy a family favorite! They taste great and require no sacrifice! 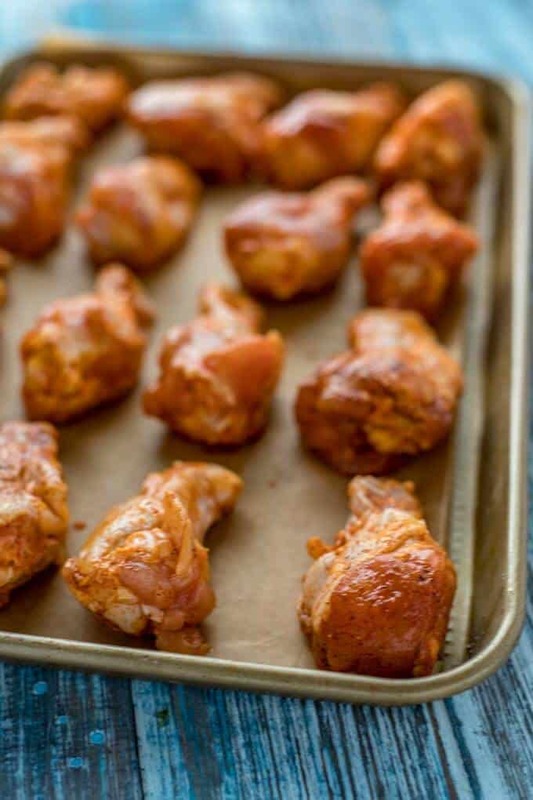 Both kids and adults love these Oven Baked Chicken Wings! In a small bowl, whisk together oil, salt, paprika and black pepper. Place wings or drumettes in a plastic bag and pour marinate over them. Allow to sit for at least 30 minutes. 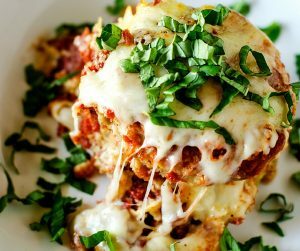 Arrange chicken on baking sheets in a single layer. Bake for 40 minutes, until cooked through. 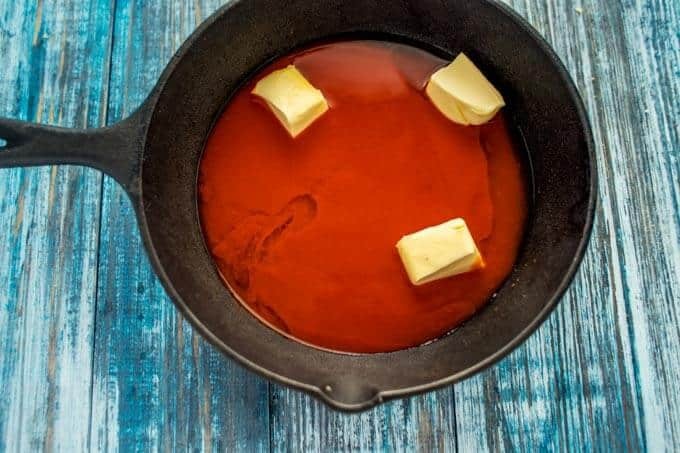 Meanwhile, in a small saucepan or small deep skillet, combine buffalo sauce, butter, vinegar and cayenne pepper. Cook over low heat until the butter is melted. Transfer wings to a large bowl and toss with sauce. 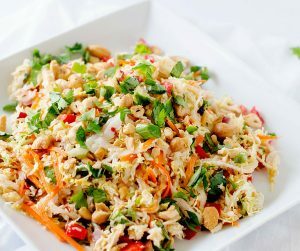 Serve with desired dipping sauce. For extra crispy Healthy Chicken Wings, try cooking them in an Air Fryer. To Make Air Fryer Chicken Wings, cook in an Air Fryer preheated to 370 degrees for 30 - 40 minutes. 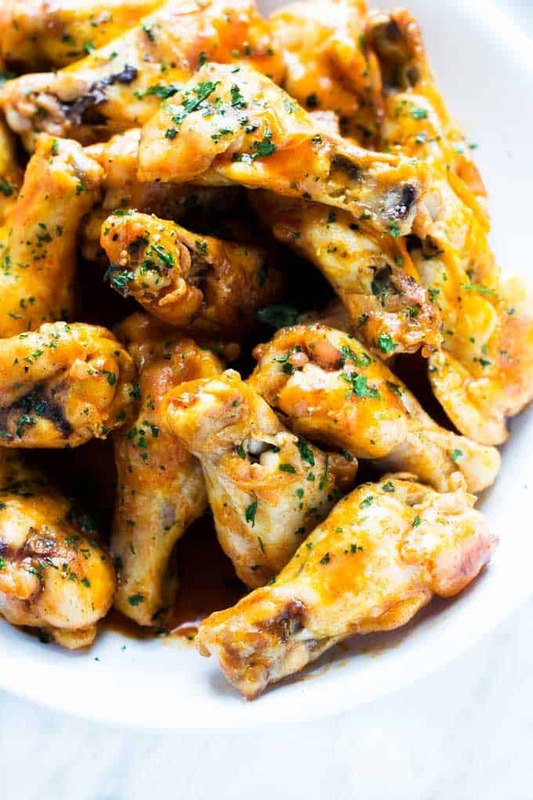 For Sweet Heat Chicken Wings, marinade in 2 teaspoons minced garlic, 2 tablespoons honey, 2 teaspoons smoked paprika and 2 tablespoons gluten-free tamari. For a different twist, try marinading the wings in buttermilk with a splash of hot sauce added in. The acidity in the buttermilk gives the meat extra moisture. You can marinate in buttermilk for up to 24 hours. For Cajun Chicken Wings, marinate in buttermilk and then toss with two teaspoons of Cajun seasoning. For Grilled Chicken Wings, use a drip pan and grill over indirect heat. Grill covered for about 30 minutes over medium heat. Keep things simple and serve with raw veggies and dipping sauces. 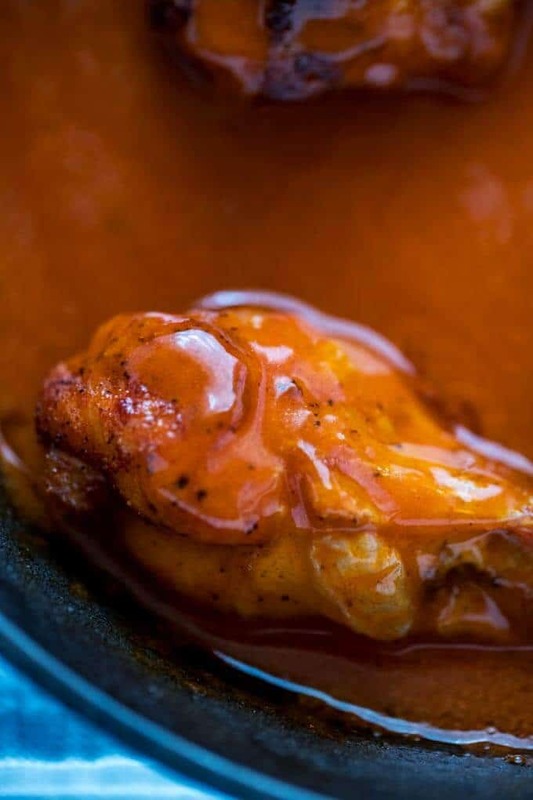 I like Blue Cheese (try this Skinny Blue Cheese Dip), but for more inspiration check out these 17 Sauces for Chicken Wings. This post was sponsored by Surf’s Up. The recipe sounds really good. The movie sounds cute, too. I’ve actually never heard of it. yum that chicken looks delish. wow. I love baked wings far more than fried ones.